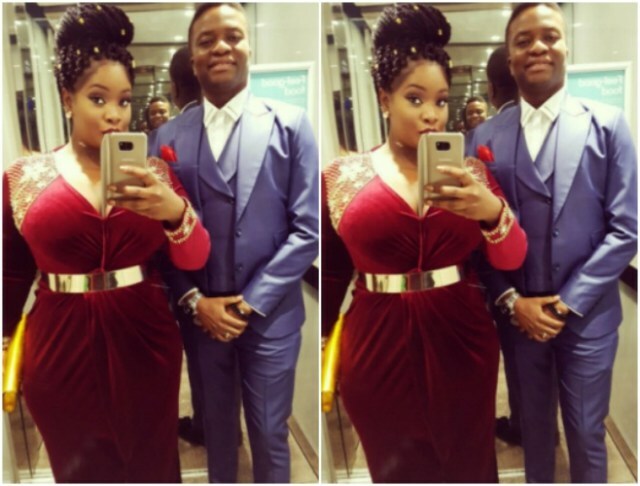 Toolz and her husband Capt. Tunde Demuren look so good together in newly shared photos. 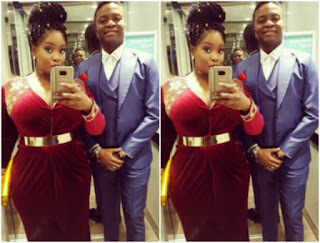 The curvy OAP and her husband stepped out to a friend’s wedding and they were absolutely stylish. Toolz dressed up her curves in a form fitting wine dress which hugged her voluptuous body in the right places. The dress, which features some gold detailing on the shoulders, was cinched with a gold belt. Toolz accented her outfit with a gold purse, styling her hair in a top bun, with gold accessories. In another photo, the slaying couple were pictured with Pastor Tony Rapu who was also an attendee at the wedding.